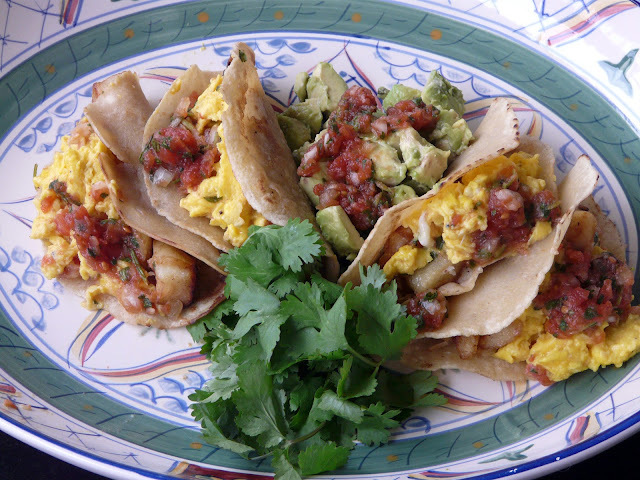 A good way to use up leftover homemade corn tortillas. I fried the corn tortillas just enough for them to hold their "taco shell" shape. 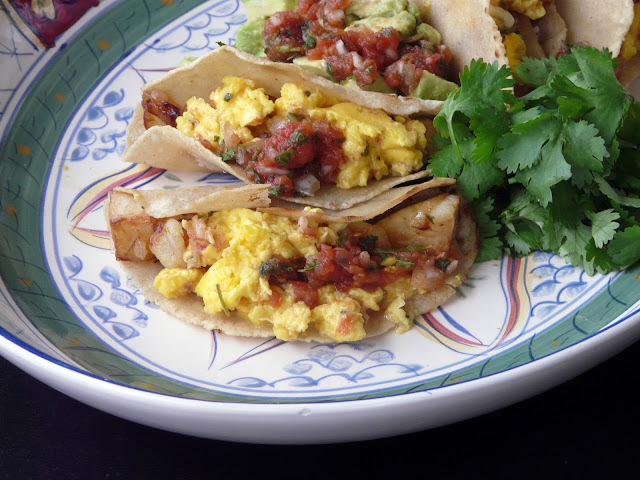 Filled with fried potatoes, tossed with fried onions, garlic and serrano chile peppers and topped with scrambled eggs and salsa. Love your blog, and this type of breakfast. It really satisfies the ultimate breakfast cravings. Soft, crunchy, spicy and filling! These tacos look amazing! I can't believe I have never made breakfast tacos before.